What Does A Construction Manager Do? Practical Consulting for any Home Remodel or Building Project! Take the worry out of making home improvements or renovating your home by getting a professional on your side. Work with your own trustworthy Home Renovation Project Manager – instead of hiring a more expensive General Contractor. We do things differently at Owner Assist Remodeling LLC. Some savvy homeowners choose to manage their own home remodeling project as an Owner Builder instead of giving it to a general contractor in order to keep control and reduce cost. Owner Builders acting as their own general contractor often realize there are limitations to their construction knowledge and expertise. These homeowners look for a construction supervisor or consultant to lead them through planning, design and construction management. Your Project Manager will be an expert in YOUR corner! You’ll feel great about both the wonderful transformation taking place in your home, and about the professional results you can achieve. Your Project Manager will professionally plan and manage the work. This expert will deal with the trades, scheduling and quality control. Experience great peace of mind. Completely avoid some of the expensive pitfalls and negative experiences you’ve heard so much about. We’ll help you get started, plan, and complete a professional home improvement project as an Owner-Builder while taking advantage of our 30 years of home remodeling and renovation experience. We can show you how to finish a basement, remodel a kitchen, or update a bath. Our professional designers and project managers will give you design ideas for basement finishing, bathroom remodeling, kitchen remodeling, and basement remodeling. Benefit from our 30 years of experience in the home remodeling industry. Our unique line of services will reduce the cost of any home project. Let us help you get that remodeling project done now and save you money. Think of us as your home remodeling partner to get the job moving in the right direction. We are here to assist you in completing your home remodeling projects, and help you save money at the same time. Unlike a typical full service general contractor, what we like to do for you is work together to reduce the cost. We provide all the typical GC services and support wherever you need us, but your participation saves you money. Denver area home remodeling and building contractors add up to 50% markup to a job’s material and labor costs to cover their overhead and costs for planning, bidding, and managing the work. With Owner Assist Remodeling LLC. you pay only for the services you need. And there’s no across-the-board markup on labor and materials. Do some of the remodeling work yourself if you have the skills. 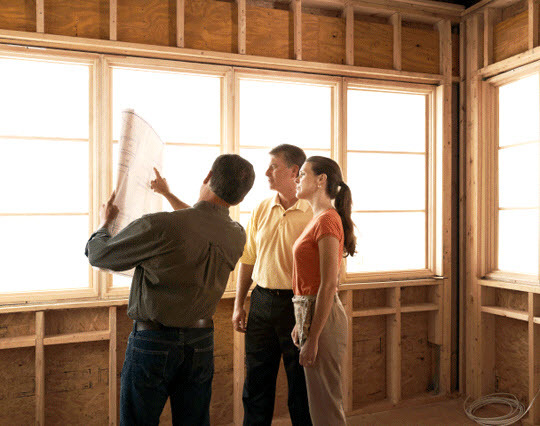 Want a PRO to come out and help you plan a home remodeling construction project? Our remodel planning consulting services and local industry knowledge make it possible for homeowners to achieve professional results an Owner-Builder, and save money at the same time. Choose how much you want to do yourself and how much you want us to do. Do It Yourself using our professional assistance, coaching, and consultation to keep your project on track and within budget. Choose from many of the Home Remodeling Project Types offered by Owner Assist Remodeling LLC. Benefit from our team’s 60 years of construction experience in the remodeling industry through our unique line of services. Thornton, Northglenn, Wheatridge, Superior, and the entire West Metro Denver, Colorado and front range area including Jefferson County, Arapahoe County, Boulder County, Clear Creek, Gilpin, and Weld counties. 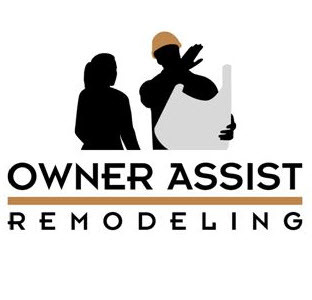 Owner Assist Remodeling was developed by Bill Wegner of Golden, Colo., because of an underlying desire to help homeowners on the Colorado Front Range build and remodel their homes at a fraction of the typical cost. Bill created this new model of managing a construction project that keeps owners in charge by providing project planning and construction management services that are entirely flexible and tailored to fit each homeowner’s needs. Bill puts owners in charge of their projects – with coaching and consulting. Homeowners can assist with only a small portion of the work themselves or manage the entire project with support just where they need it. With over 30 years of extensive experience in all phases of the home building and remodeling industry. The concept of this more affordable way to remodel grew out of Bill’s 30+ years experience in all phases of the home-building and remodeling industry. Bill adapted systems and procedures used by top project managers to develop services that allow for homeowner participation in planning and construction of any home improvement project. Trade contractor referrals are from an extensive network Bill has assembled during his career in the Denver, Colorado area. He has worked personally with most of the trades and confidently recommends them to his clients. Owner Assist Remodeling LLC holds contractor licenses in multiple Denver area communities and is an A+ rated member of the Denver Better Business Bureau. Owner Assist Remodeling LLC is International Code Council Certified (ICC) and is a Colorado licensed general contractor. Finally, a trustworthy professional to help you manage a project yourself! Visit this page for some of the most frequently asked questions on home remodeling projects working in conjunction with Owner Assist Remodeling LLC. Homeowners can realize cost savings, yet stay in full control of their DIY home remodeling projects by doing it yourself correctly the first time using a professional plan, and by utilizing our professional advising, assistance, coaching, contractor referrals, and consulting services. • While a general contractor or a “jack of all trades” remodeler will give a bid for the entire project, a construction project manager works on behalf of the homeowner to plan the project and negotiate with trade contractors to get the best overall cost possible. The Owner Builder will contract with the trades directly and handle as much of the GC job as they can handle. This includes planning, selections, get bids, permits, review bills and make payments. The more an Owner Builder does themselves the more they save. 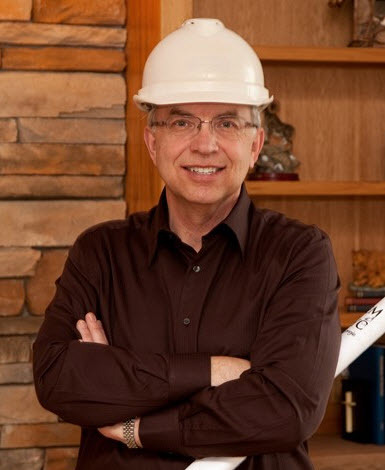 Learn more about being your own Owner Builder while also getting the benefits of the expert Design Consulting, Construction Management, and Custom Home Contractor services offered by Owner Assist Remodeling to ensure you achieve professional results. As an Owner Builder you eliminate general contractor overhead and profit markup from the cost of your project. You save for any labor you perform yourselves and also save money simply by managing the project yourself. • The ability to assist in managing parts of the work. Are you accredited by the Better Business Bureau? Yes. Owner Assist Remodeling has been BBB Accredited Business since 03/30/2012 and has an A+ Rating. How would Owner Assist Remodeling help me as an Owner Builder? Need advice? 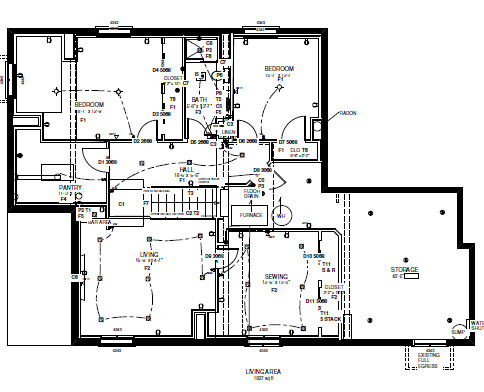 Want a pro to come out and help you plan and construct a remodeling project? Homeowners come to us for the guidance and construction expertise of a knowledgeable industry expert. Owner Assist Remodeling is a design and construction management firm. We work closely with Owner Builders and help them avoid pitfalls through all stages of any home improvement project. We are your advisor, coach, advocate as well as your consultant, designer, and construction manager. We work with you and for you to plan and manage your project. • Choose how much you want to do yourself and how much you want us to do. Project Planning and Design Assistance. Your Owner Assist Remodeling planning and design consultant will meet with you in your home and take you through the planning, design and bidding phases We listen to your wants and needs and help you incorporate as much as possible into the design and specifications of your project while considering your budget. A Network Of Trade Contractors. An added benefit to working with us is that the homeowner can tap into our network of trade contractors. We will know which subcontractors are reputable and reliable, and which ones should be avoided. Knowledge of Municipal Building Codes. Knowledge of appropriate materials and proper construction methods is a key resource that a we bring to your project. Project Management Expertise. Your consultant can help you schedule and oversee the quality of all the work. He/she will keep the work flowing and the crews busy throughout the entire course of the project. A professional construction consultant can take some of the worry and stress out of the job for you. How do I know if Owner Assist Remodeling is right for me? • I wish there was someone to help me one on one at our home to figure out what we should do and the best way to do it. • I know a lot about construction but I realize I could not pull together this large of a project on my own. Plus, I’m really busy at work. It never occurred to me there might be someone that would work with me to plan and manage the remodel. • I met with several general contractors and their bids are all over the place. I had negative vibes about some of the guys that came out. Some wanted to do it “their way”, others didn’t want me to have any involvement. I need a better alternative. These are the types of problems we solve at Owner Assist Remodeling. Think of us as your home remodeling partner and consultant. And the nice thing is, you pay only for the level of services you require. There’s no across-the-board markup of a general contractor! Refer to a few Colorado customer comments below on our home remodeling, project management, and home construction services. My wife and I have enjoyed the remodel so much and have commented so many times how thankful we were that you were working on the project. The things you watched closely were the types of technical detail that I would never have had a clue to check. Your daily visits to the project gave us great comfort and confidence that the job was being done properly. The end result was a spectacular master suite like none we’ve seen before. Thanks for all your help and concern along the way. We felt that you paid as close attention to our job as if it were your own. We are so happy we found you to help us with our basement finish. We initially wanted to finish our basement by ourselves with a friend who is a contractor, but does not specialize in basements. We were surprised at how many details and ideas you brought to our attention that we would never have thought of. You were so helpful in our remodeling project. You were both knowledgeable and patient in explaining options and details to us. You showed concern that the project should be done well and that we would be satisfied with the finished product. You worked closely with contractors to accomplish these goals. Let us know how we can help you today! We’ll respond to you as soon as possible.